Automotive manufacturers, suppliers, and insurance agencies are often at risk when targeted with outlandish claims made by their customers. It is the company’s duty to ensure that any existing products, contracts, or policies are properly expressed and created to avoid complications. However, no matter how careful a company may be in the preliminary process, issues may still arise. If you are an automotive company who has been put under fire by an impending lawsuit, Cosio Law Group has the defense services you are searching for. We specialize in finding creative solutions and strategies to defend your company’s interest against customer claims. When a client is involved in an automobile accident that may or may not have resulted in the injury or death of an individual, drivers often turn toward filing a lawsuit against the automobile company. While some claims are supported with reason, you will find that most of these claims are merely a means to pin the blame on an outside party. Car buyers may claim that their vehicle contained faulty machinery or was not up to par with safety regulations. It is our duty to collect and present factual data that will prove otherwise. 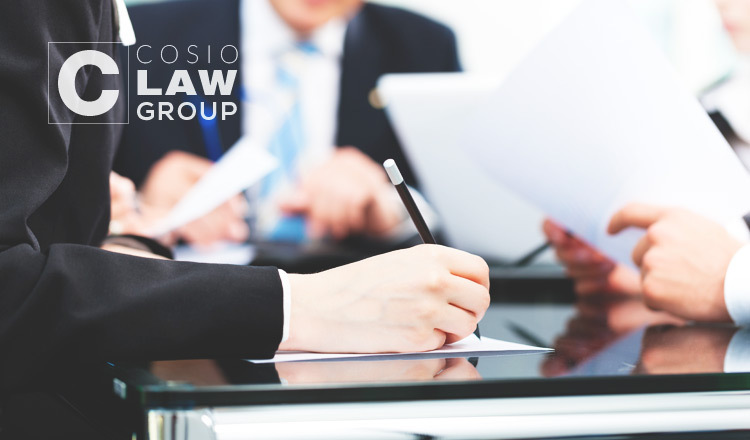 As your defense attorney, our lawyers at Cosio Law Group will work diligently to determine that your company is not at fault. There are many underlying factors that must be investigated and analyzed in order to build a solid case. You can be certain that our attorneys are a group of hardworking, trustworthy individuals who will always have your best interest in mind. Backed by over fifteen years of experience, our attorneys are prepared to handle virtually any case that comes our way. We pride ourselves in being established as some of the best defense attorneys in South Florida, living up to our client’s expectations one case at a time. If you are in need of an experienced defense attorney to represent your company, look no further! Contact us today at (305) 567­-0503 or click here to explore your options regarding your Automotive Liability case.